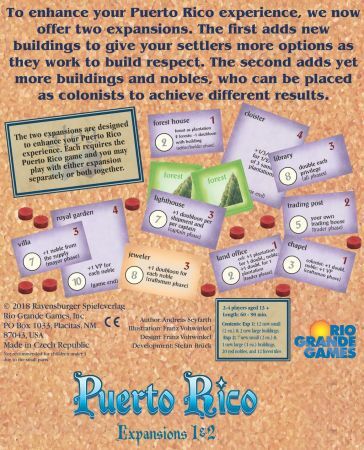 Rio Grande games are releasing the old expansions to Puerto Rico, The Nobles and The new Buildings. Read about it here. The New Buildings adds forests to the game and introduces the following new buildings: Aqueduct, Forest House, Black Market, Storehouse, Guesthouse, Church, Trading Post, Small Wharf, Lighthouse, Library, Speciality Factory, Union Hall, Cloister, and Statue. 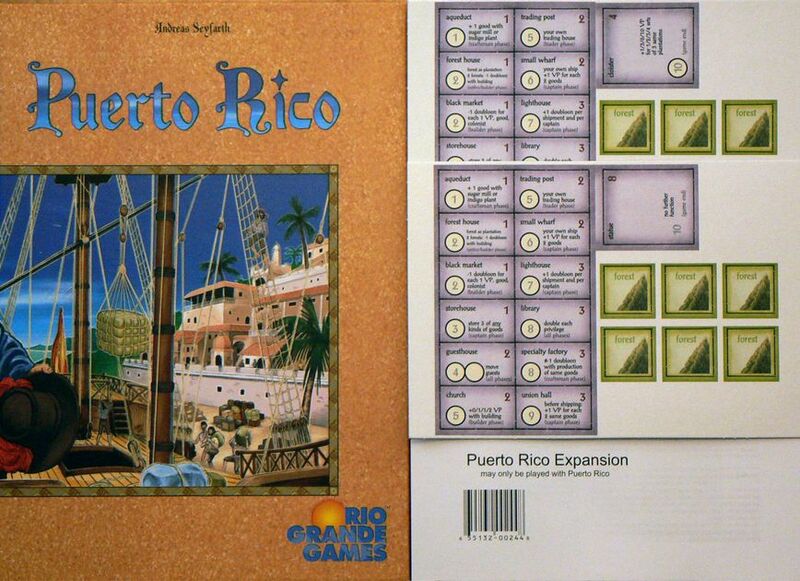 These buildings can be mixed and matched with the existing building in the Puerto Rico base game. 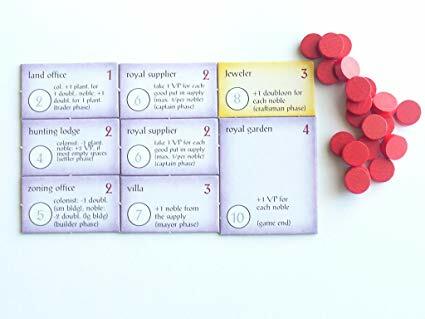 The Nobles includes tokens that are used like colonists, but some of the seven new buildings provide different properties depending on whether they are occupied by nobles or colonists.